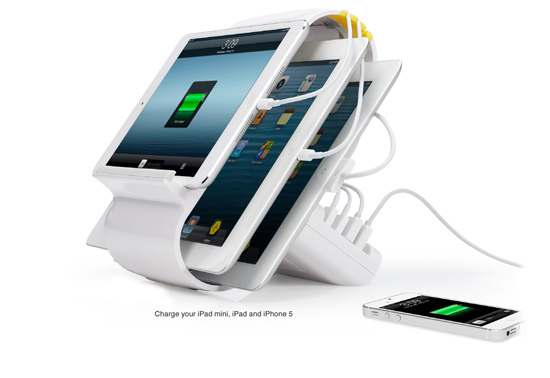 Meet Sydnee - Smartly designed 4-Port iPad Charging Station for tablets, smartphone & e-readers. 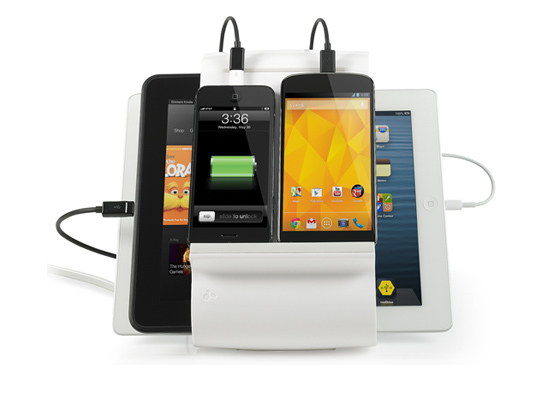 Use our iPad Charging Station for a rapid charge without the cable mess. Sydnee’s “smart charge” feature detects which device is charging and adjusts to provide optimum supply of power. There is also built-in short circuit protection to provide you with peace of mind while your devices are charging. With no tangle and no mess – your cable clutter is simplified without compromise through Sydnee’s intelligent design. One cord powers the whole device. Built with simplicity and style in mind, Sydnee can be employed anywhere. From schools, hospitality markets and retail stores to corporate offices, conference rooms and health care facilities, just plug it to the wall and start charging your devices.